The PSR 082X is a highly efficient, IP68-protected remote counterpart for the PSC 1600 converting the incoming voltage to 48 V DC for powering of active network components. The PSR 082X delivers up to 120 W via eight feeding lines with a power efficiency of up to 92 %. To convert the full power of one PSC 1600 (240 W) at the remote site, two PSR 082X are required. 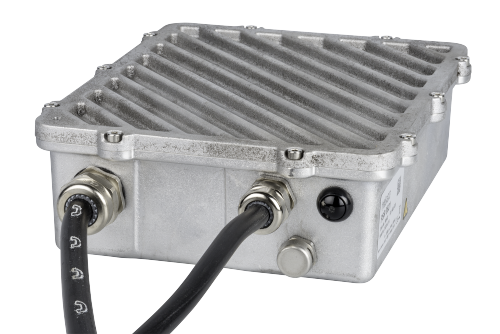 The PSR is also available with IP65 ingress protection (PSR 080X).